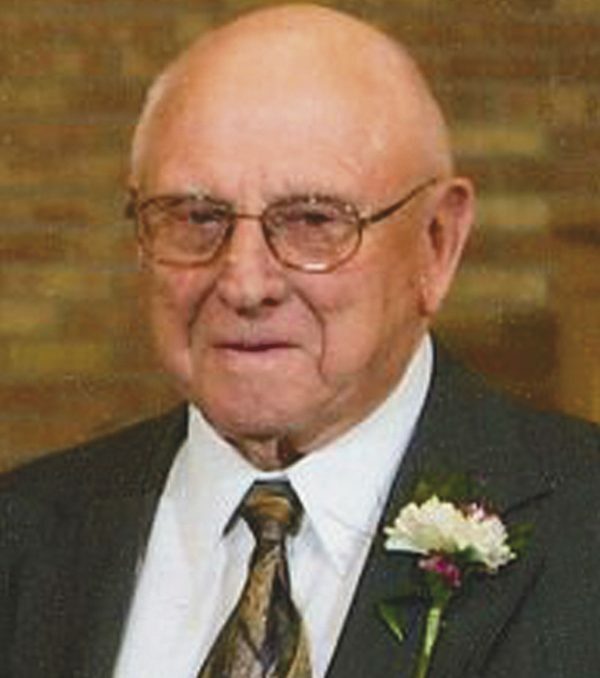 A Celebration of Life Service for Eugene “Gene” Harnack, age 94 of Windom, will be held to 11 a.m. on Saturday, April 13 at the LaCanne Family Funeral Home in Windom with Reverend David L. Birch officiating. Full military honors provided by American Legion Post #206 of Windom will take place at the funeral home immediately after the service at the funeral home. Burial will take place in Lamberton Cemetery in Lamberton MN. Visitation will be from 9 a.m. to 11 a.m. on Saturday April 13th at the LaCanne Family Funeral Home in Windom. Eugene “Gene” Harnack passed away on Thursday, February 28th at Good Samaritan-Sogge Memorial in Windom.